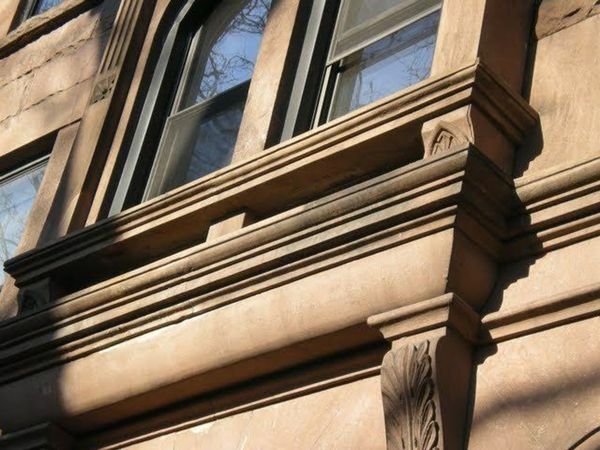 The European energy- and money- saving building standard (Passive House) reaches Park Slope, Brooklyn. We are proud to announce that Brooklyn’s first Passive House renovation is nearing completion. All Renovation is the lead General Contractor on this historic project. Passive House standards promote healthy, comfortable and energy efficient built environments. This revolutionary concept has only recently spread to the United States, where it is gaining devoted followers among green building enthusiasts. To view pictures of this project click here. The passive house concept — which can cut the amount of energy homes consume by up to 90 percent — has the power to dramatically reduce energy bills and global carbon dioxide emissions.What’s more, it has the potential to be quite affordable. The cost to build a passive house in Germany, for example, where standard features like triple-pane windows with foam seals and multiple latches are readily available, is only about 7 percent more than the cost of building a standard home. Several architects have already embraced the movement’s strict code of construction that allows extremely little air leakage — less than one air change per hour. (By comparison, an Energy Star-rated home allows up to seven air changes per hour). Super-insulate and make it airtight. Buildings are encased in ultra-thick insulation that acts as an airtight shell. This prevents warm air from escaping and cold air from entering the home, thanks to 10-inch-thick walls, triple-pane, argon-gas-filled windows and elaborate airtight seals around each window and door opening. High-performance windows and doors. In addition to triple-pane, foam-sealed windows, there are also prefabricated walls that are insulated to passive house standards. These products are much more affordable in Germany, where they can be purchased off-the-shelf. Eliminate thermal bridges. Homes are designed so that wood framing does not provide a conduit for cold or heat from the outside walls to be transmitted to the home’s interior. Optimize passive solar and internal heat gains. Passive homes also take into account the amount of “free” heat that residents and household electrical appliances create. Careful siting also enlists other passive solar energy sources, such as south-facing windows and the thermal mass of the building itself. Heat recovery ventilation. The key to indoor comfort in passive homes is a central ventilation system that is widely used in Europe but still relatively unknown in the United States. As warm, stagnant air is expelled through the heat recovery ventilator, it passes by incoming streams of fresh, cooler air, allowing the heat to transfer without mixing the two streams of air. As a result a passive house loses very little heat and then recycles it. To learn more about The Passive House Movement visit The Passive House Institute United States (PHIUS) website. PHIUS is an energy consulting and research firm working to further passive house standards nationwide. Meetup members include contractors, home owners, architects, engineers, developers and people simply interested in finding out more about Passive House. The next Meetup is scheduled for August 8, 2010. Please register for this Meetup here today!